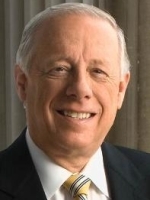 Info Phil Bredesen, the 48th governor of Tennessee, has built a reputation for effective leadership in business and government. He campaigned for governor in 2002 on a platform to better manage state government, improve Tennessee?s schools and fix TennCare. As mayor of Nashville from 1991 to 1999, Phil restored confidence in city government and charted a course that made Music City one of the best places in America to live, work and raise a family. Among numerous accomplishments, he brought the Tennessee Titans to the state, built a new local library system and drove down the city?s crime rate. Phil?s proudest accomplishment as mayor was to infuse nearly one-half billion new dollars into the local education system?adding more than 440 new teachers, building 32 new schools and renovating 43 others. He also implemented a back-to-basics curriculum to teach students what they need to know. Nashville saw record economic growth during Phil?s tenure and recruited high-quality jobs with major corporations such as Dell Computer Corp. and HCA Inc. He oversaw the renewal of Nashville?s downtown entertainment district, and spearheaded public-private partnerships that led to development of the new Country Music Hall of Fame and Museum and the Frist Center for the Visual Arts. Community involvement has been a central part of Phil?s life. He is a founding member of Nashville?s Table, a nonprofit group that collects overstocked and discarded food from local restaurants for the city?s homeless population, and served on the Frist Center?s board. He also founded the Land Trust for Tennessee, a non-profit organization that works to preserve open space and traditional family farms. Phil and his wife, Andrea Conte, moved to Nashville in 1975. Doing research at the public library, he drafted a business plan in the couple?s small apartment that led to the creation of HealthAmerica Corp., a healthcare management company that eventually grew to more than 6,000 employees and traded on the New York Stock Exchange. He sold the company in 1986. Philip Norman Bredesen grew up in Shortsville, a rural farming community in upstate New York, and earned a bachelor?s degree in physics from Harvard University. He and Andrea, have one son, Ben. Born November 21, 1943, Phil is 60 years old.